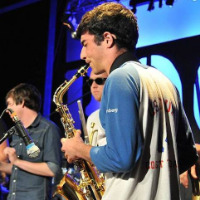 Prepare yourself for the twisted, tempestuous sound of Peter Evans on trumpet, sampled live by Sam Pluta. Wes's Electronic Music group welcomes the duo back to Russell House, and promises the event will be blissfully spooky. This concert is also the first meeting of the EMG New Friends Club, which is a collection of graduate and undergraduate student improvisers. The goal of the group is to "explore musical unknowns" and does so by combining musicians of varying experience and tastes. 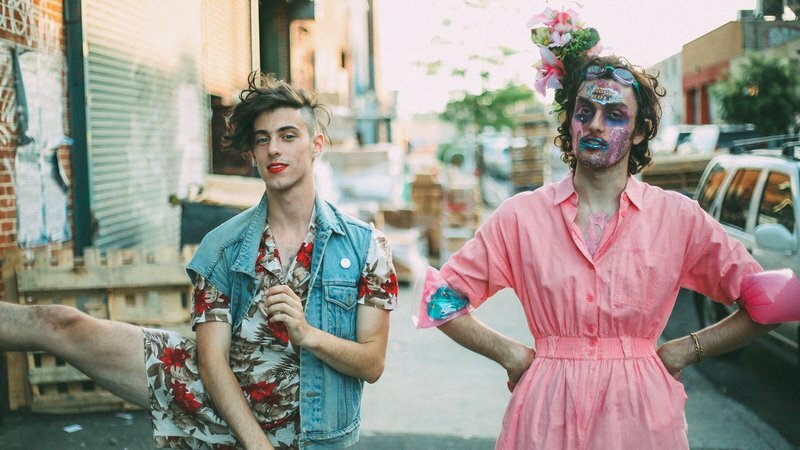 Starting at Bard a few years ago, PWR BTTM is a queer-genre queer punk duo now based in New York. Their concerts are self-described as “a disaster. A catastrophe. A complete and total nightmare” so you know it’s gonna be awesome. Thunderous guitars, upbeat drums, and lyrics about boys, New York, and other things combine to form a DIY, garage, basement feel that will have you up and dancing. No You're Weird! is three ladies and one tall lad. They'll heat up BuHo by jamming to Hendrix + others. Miguel Guiterrez is an artist from Brooklyn that makes performances "that are about things and are things themselves. The things they are about are big: how to live in the world, how to love, how to fell about being yourself." He has created a variety of pieces including choreography, music, and poetry, and he will share one of his creations with Wes this Friday night at Eclectic: DEEP AEROBICS, or Death Electric Emo Protest Aerobic, a workout of sorts. Check out the video below, and AW encourages you to peep Guiterrez's website to explore his other pieces. Wesleyan’s preeminent pop-punk cover band, Dark Circles, is back to dole out more of your favorite junior high jams. Take hammer and chisel to your jagged stone hearts and relive those halcyon days when Fall Out Boy was still good. And God those were the days, weren’t they? High school covers and angsty originals brought to you by Westco prez Josh Davidoff '18.